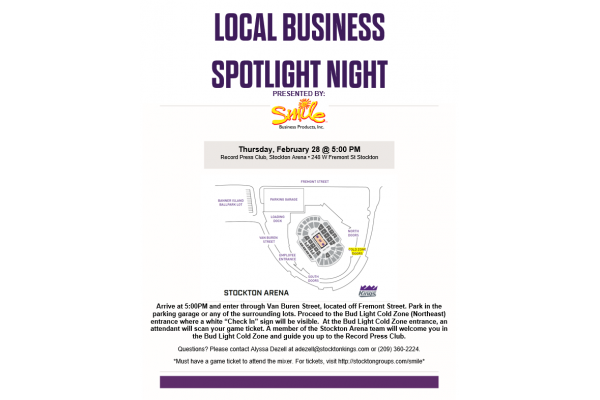 It's Local Business Spotlight Night at the Stockton Arena, presented by Smile Business Products, Inc.! 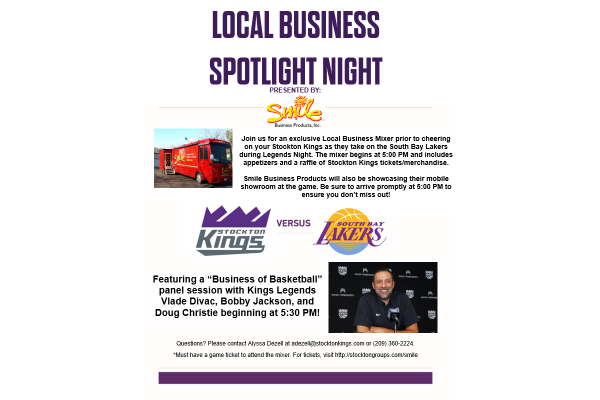 Your ticket includes access to an exclusive Local Business Mixer prior to cheering on your Stockton Kings. 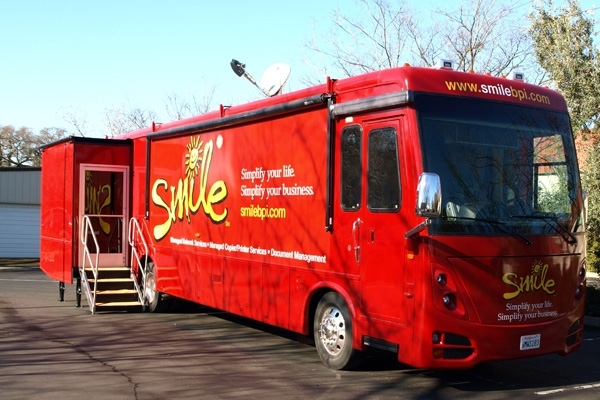 Smile Business Products will also be showcasing their mobile showroom at the game. Be sure to arrive promptly at 5:00 PM to ensure you don't miss out! 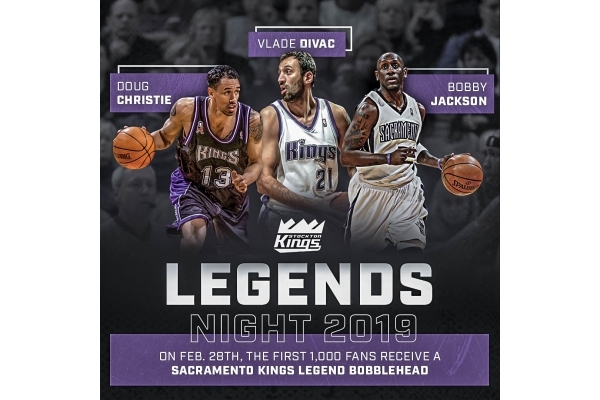 It's also the first ever Legends Night at the Stockton Arena with Kings legends Vlade Divac, Bobby Jackson, and Doug Christie in the building! They will be hosting a "Business of Basketball" panel session during the mixer beginning at 5:30PM. This promotion is now closed. Stay tuned for more! Copyright © 2019 Stockton Kings and Spinzo Corporation. All Rights Reserved. For questions contact Alyssa Dezell at 209.360.2224 or adezell@stocktonkings.com.